4. The protection of personal data of users visiting the Portbook.gr and every kind of service provided by the Portbook.gr subject to the terms of this section and the relevant provisions of Greek legislation (Law 2472/1997 on the protection of individual and the protection of personal data as supplemented by the decisions of the President of the Commission for the Protection of Personal Data, the PD 207/1998 and 79/2000 and Article 8 of Law 2819/2000, as Law 2774 / 1999 and Directives 95/46/EC and 97/66/EC. 5. Portbook.gr can record and automatically collect, indicative but not limited to the following categories of information when you visit the guest-user on our website: (1) addresses IP, (2) domain servers, (3) types of electronic computers that have access to our site, (4) types of web browsers used to access our site, (5) reported source or URL which may direct the user on our website and (6) pages and the information on which you Access to our website. These data help us to understand the traffic on our web site, diagnose server problems, to manage our website and to the adaptation and improvement of information and services. In order to provide the visitor-user the best of our services he can be requested to give Portbook.gr certain information that personally identifies him which without limitation include: name, contact details like address, phone number and email address, demographic information such as postcode, gender and date of birth and information and communication provided by the user via e-mail or letter to the Portbook.gr. Despite good faith and every possible effort from Portbook.gr to store personal data of users in a secure operating environment that is not open to the public, it is noted that there is no complete or perfect security and Portbook.gr do not warrant that there are no unintended disclosures of your personal data. The user must immediately inform the Portbook.gr if contact details have been lost, stolen or used without permission. In such case we will remove your contact information from your account and we will update our records accordingly. 6. Where visitor - user sends information to the website Portbook.gr by completing the relevant online form or send email, to serve a request or provide a service Portbook.gr these information must be provided correctly and accurately. The information provided by the visitor or complement-user on customer's request shall be considered confidential and forwarded only to the person directly concerned and in accordance with the relevant statutory authority or authorities. In case of visitor use would be contrary to the rules of use of Portbook.gr and generally applicable Greek legislation. Especially the latter may be appropriate when using the website Portbook.gr by a visitor - user that violates the rules of operation. In this case all the information of the visitor - this user and the IP address can be part of any investigation, when necessary to protect the rights of Portbook.gr. 7. When sending data to the website Portbook.gr these data should not conflict with the Greek law and morality for the use of the internet in general and cannot be altered by the visitor - the user who made the publication or in the knowledge of others. These data can be used by Portbook.gr and no claim against Portbook.gr by the visitor - the user that provides these data can be raised. Each guest-user is responsible for using Portbook.gr and its services only for lawful and legitimate purposes. 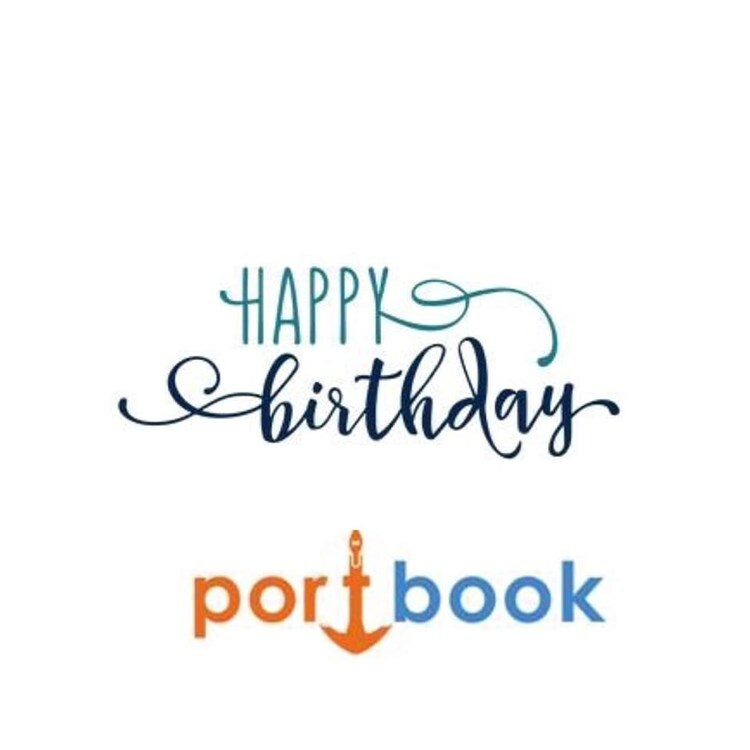 You may not use Portbook.gr in any manner that could damage, disable or impair our servers, or our networks, or in ways that interfere with the use and enjoyment of the services of Portbook.gr of any other member visitor-user. It is also prohibited to visitors - users to create fake accounts with fraudulent intentions, to collect or store personal data of other users in any way. Portbook.gr reserves the right to seek satisfaction for any damage from the violation of the prohibition of the visitor – user, to make any legal action such as proceedings and lawful judicial or extrajudicial corrective measures in order to prevent breaches of these terms. 8. Portbook.gr reserves the right (indicatively and not limited) to any of the following: a) to record and store all communications visitor - user website, including e-mails and communication of questions - answers b) to investigate any complaint if a communication does not comply with the terms and conditions thereof and to decide in its sole discretion to remove or request the removal of such communication, c ) to withdraw from the dispatched communications and the guest user data and information, which are considered offensive, illegal or embarrassing, or which do not comply with the terms and conditions of use of Portbook.gr d) to delete registered members when they do not comply with the conditions and conditions for use of Portbook.gr after warning them. 9. Administrator of Portbook.gr will keep record of users' personal data, according to the rules and conditions of Law 2472/1997 as amended, for the privacy of data being compelled to comply with the provisions of Law 2225/1994 and Presidential Decree 47/2005 to downgrade this to any judicial authority, for reasons of national security or for the detection of particularly serious offenses and for any reason mentioned in the law, after complying with the procedure laid down by law. The protection of personal data of the user who visits the PortBook.gr and every kind of service provided by PortBook.gr subject to the terms of this section as well as relevant provisions of Greek law (Law No. 2472/1997 on the protection of the person and the protection of personal data as supplemented by the decisions of the President of the Commission for protection of personal data, the p. d. 207/1998 and 79/2000 and article 8 of law 2819/2000 and law 2774/1999 and directives 95/46/EC and 97/66/EC. The PortBook.gr can record and automatically collects, indicatively and not restrictively the following categories of information when the visitor's user-visit our website: (1) IP addresses, domain servers (2), (3) types of computers accessing our website, (4) types of Web browsers used to access our website, (5) referring source or URL that possibly Mr..